Anderson Pallet and Crate (formerly Colorado Wood Products) is your trusted source for quality wooden shipping and export containers. Order with confidence, knowing that our locally owned and operated plant and delivery network is licensed and insured. We utilize Pallet Design System (PDS) to make certain your packages are created exactly to your specifications. Getting your product to your customer, without damage is our number one priority. We’re fully dedicated to finding your business the most affordable and efficient shipping solutions. As the the leading wooden crates supplier in the Colorado Front Range, we’ll help you figure out the right packaging requirements for all types of goods, from electronics to machinery to beverages. 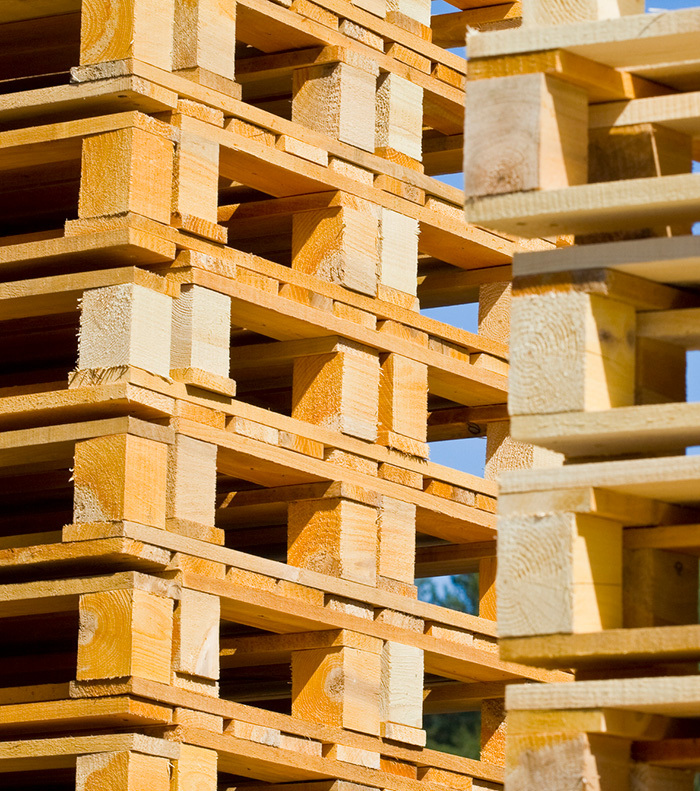 With our years of experience and adherence to quality, we offer a wide range of wood pallets to suit your varied packaging and transportation requirements. For additional protection of your valuable equipment and products we offer heat shrink coverings. This extra value service provides a dirt-free, water resistant barrier to protect your valuable products during shipping. We are dedicated to your company’s logistical shipping needs. "I just had to take a minute to let Colorado know what a great company this is. Professional, courteous, just a pleasure to work with. Thanks to the whole team there!" "Service was exceptional. Everyone was so helpful and knowledgeable. Recommend them highly." "Dave did a GREAT job on some custom crates for my business. Quality was great, design was well thought out. Super nice guy too. Will be using him again!" "Very professional company with great customer service and pricing! Highly Recommend this business!" For news, tips and ideas from Anderson Pallet and Crate, check back here regularly! We’ll give you input on choosing the correct containers for your shipping and handling needs, as well as available extras that can save you time and money.